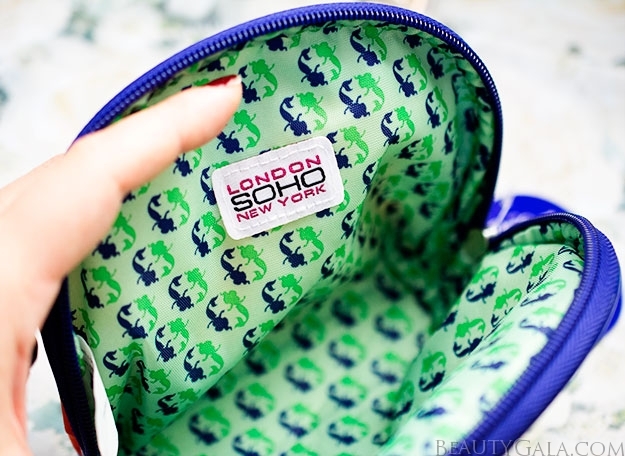 LONDON SOHO NEW YORK® has teamed up with Walgreens to release another limited edition collection of makeup bags! These bags are part of the Dare To Dream Collection and are available exclusively at Walgreens stores nationwide. The collection features Ariel, Pocahontas, and Mulan. 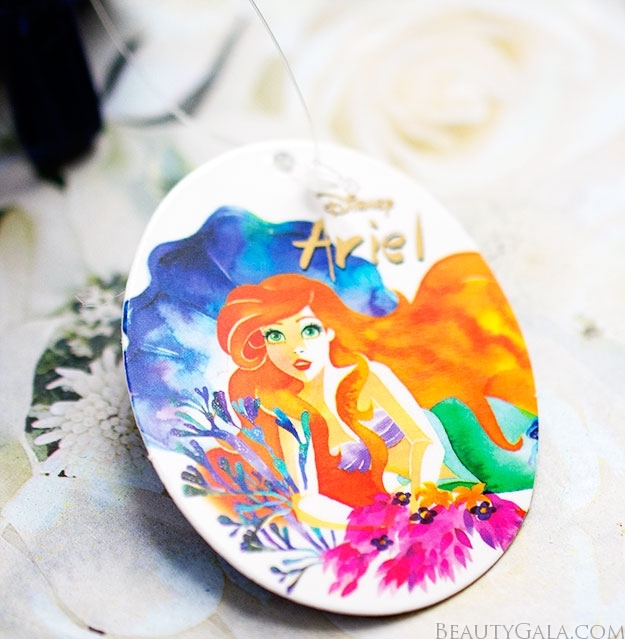 I have Ariel for you today because she is my favorite Disney princess along with Snow White. 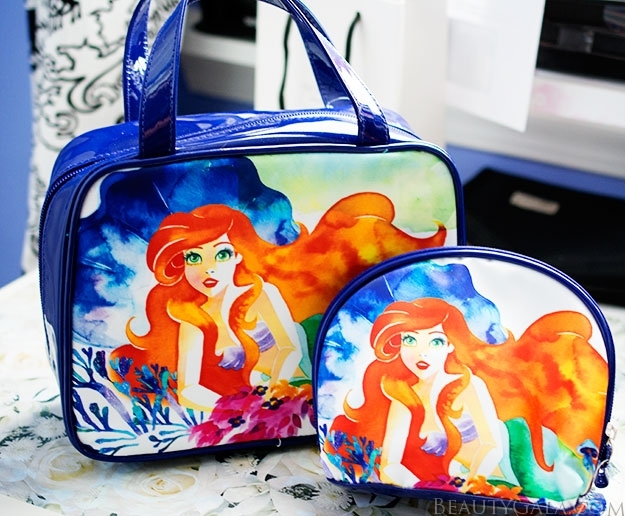 I have an affinity for mermaids and when I saw these bags, I was in love. 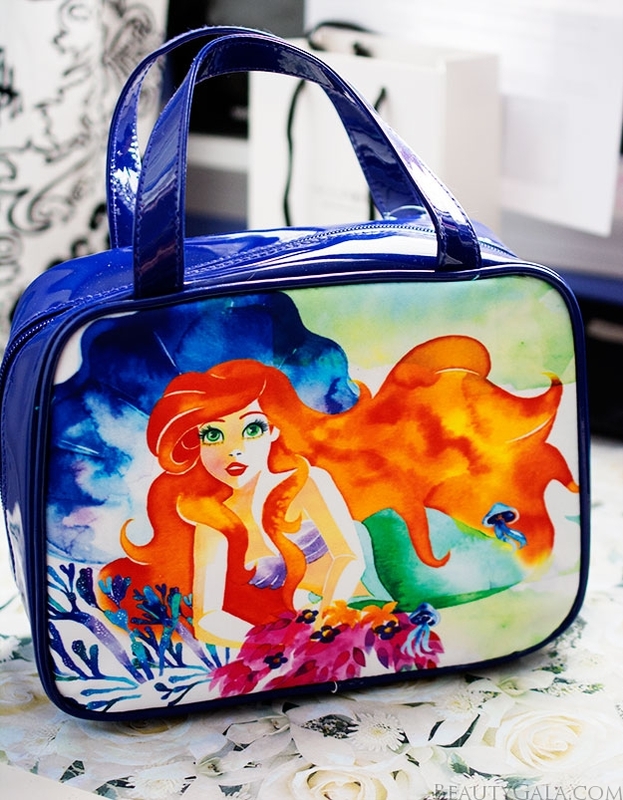 I have the weekender and the round-top Ariel bags for you today. These are limited edition, so once they’re gone, they are gone forever. If you spot them in your local Walgreens and want them, I would definitely suggest grabbing them! I have watched them fly off the shelves at the stores near me. Both bags feature a patent lining along the zippers and bottom. It helps to keep the bag clean so you can easily wipe away anything you might get on it. The actual print of the bag is a super soft satin material. 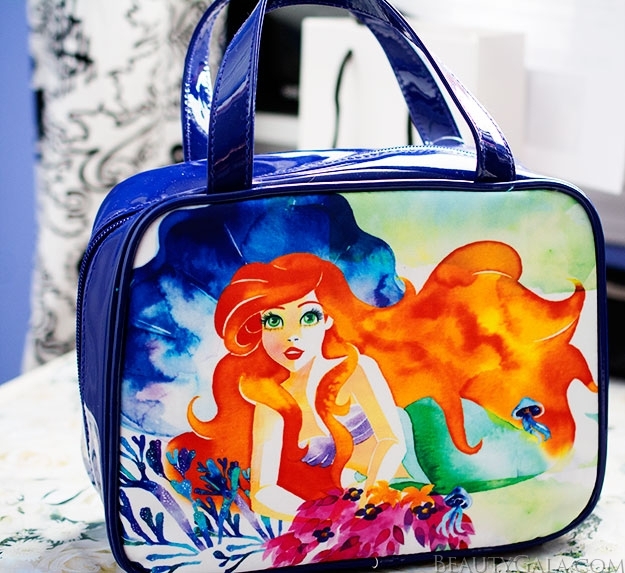 Ariel is simply stunning on these bags. The artwork is breathtaking and looks very dreamy with watercolor-like strokes. If you’re a fan of Disney in general, I think you’ll really love the artistic interpretation of these Disney princesses. 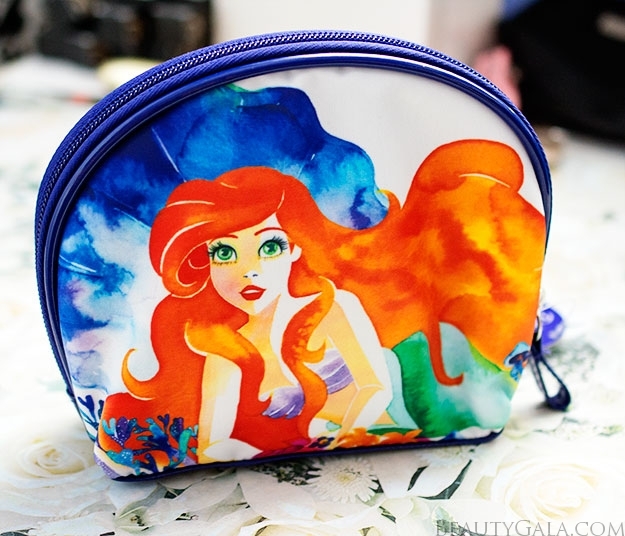 The Round Top Ariel Cosmetic Bag measures 7 x 2 x 5. It’s approximately the width and length of my entire hand stretched out. It features a zipper to open and close it and an absolutely darling print inside. When I opened these bags, I fell even more in love. How cute is the inside print? I love the attention to detail. They could have easily left the inside of the bags plain, but they decided to make them whimsical instead. They are stunning in person. I also like that the material is easily wipeable so that you can clean up any makeup spills or messes you may encounter. This bag is perfect for toting around with you in your regular handbag. It’d make a great “everyday” all-purpose cosmetic bag that can easily store makeup, hygienic products, and toiletries. 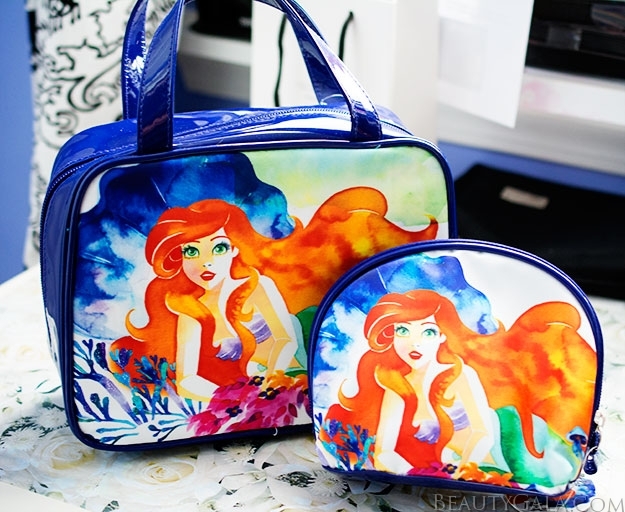 The Round Top Ariel Cosmetic Bag retails for $7.99USD at Walgreens stores nationwide. 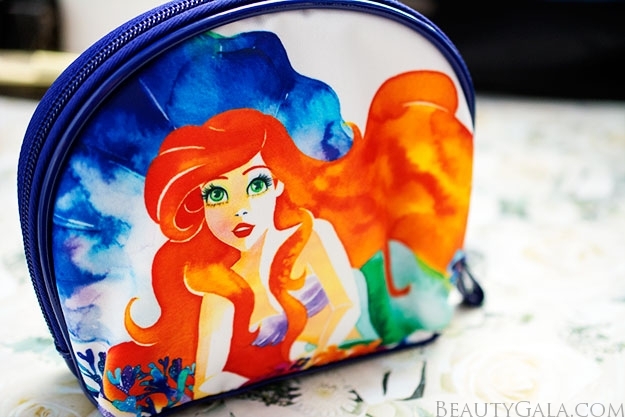 The Weekender Ariel Cosmetic Bag measures 8 x 3.75 x 5.25. This one has two patent grip handles at the top so you can hold it like an actual purse. It also has a double zipper open and close, as well as the same gorgeous pattern inside as the other bag. This one is deeper and has more space in it. It’d be ideal for packing toiletries and makeup for a short trip! The handles ensure that the bag is sturdy enough to hold quite a lot of products. This size is personally perfect for me when I am going to visit my in-laws in Florida and will be away for a few days. I can put all my makeup and palettes in here, as well as my makeup brushes. 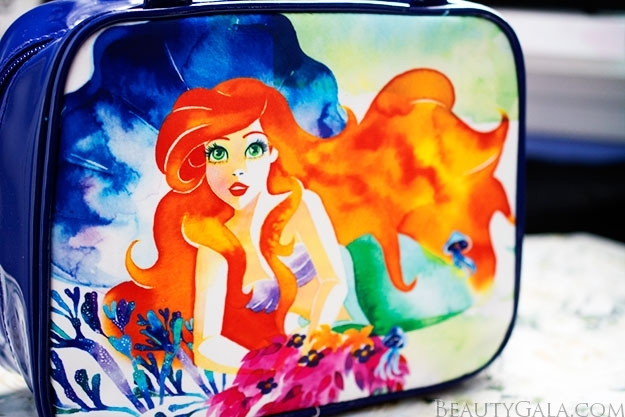 The Weekender Ariel Cosmetic Bag retails for $11.99USD at Walgreens stores nationwide. Both bags are functional and sturdy, while still being affordable and available at your local Walgreens. These are definitely a beauty bargain and absolutely beautiful to boot! You can visit the LONDON SOHO NEW YORK® website here.